Donate a backpack, get a FREE sundae! As part of its ongoing support of the community, Hoffman’s Chocolates is pleased to announce that it is celebrating the start of the 2018/2019 school year by holding a Backpack Drive, now through August 10, to benefit ChildNet. ChildNet is a Community-Based Care (CBC) lead agency in both Broward and Palm Beach counties that works to protect abused, abandoned and neglected children. 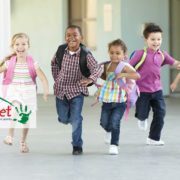 Anyone who donates a NEW school backpack at a participating Hoffman’s Chocolates location now through Friday, August 10, will receive a Free Ice Cream Sundae. The offer is limited to one Hoffman’s Chocolates Ice Cream Sundae per donated school backpack (no drawstring bags, messenger bags or fanny packs). All backpacks should be brought to the store registers for redemption. Participating locations include the chocolatier’s stores in Greenacres, Boca Raton, Palm Beach Gardens, Delray Beach, Fort Lauderdale, Plantation and Weston. Please visit hoffmans.com for store locations and hours of operation. http://www.hoffmanschocolateblog.com/wp-content/uploads/2018/08/backpack-promo.jpg 1081 1920 admin http://www.hoffmanschocolateblog.com/wp-content/uploads/2016/03/blog-logo-300x138.png admin2018-07-31 14:33:522018-08-09 14:34:34Donate a backpack, get a FREE sundae! Celebrate National Ice Cream Day with BOGO cups and cones! Buy any size cup or cone, and get one FREE. 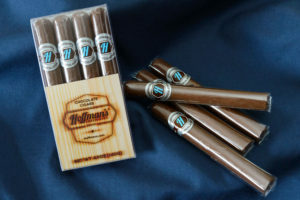 Find a store near you at Hoffmans.com/locations. There is no sweeter way to say thank you and show your appreciation than with a box of Hoffman’s Chocolates. In celebration of National Administrative Professionals Day on April 25th and National Teacher Appreciation Day on May 8th, Hoffman’s Chocolates is offering a special BOGO promotion – Buy One Box of Hoffman’s ¼ lb. Pre-packaged Classic Assortment Box of Milk or Dark Chocolates and Get One Box of Hoffman’s ¼ lb. Pre-packaged Classic Assortment Box of Milk or Dark Chocolates FREE ($6.75 value). 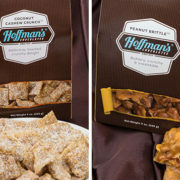 This special BOGO offer will be available at any of Hoffman’s Chocolates Palm Beach County or Broward County locations and online at Hoffmans.com from Monday, April 16th through Tuesday, May 8th or while inventory lasts. This offer is only valid for the Hoffman’s Chocolates ¼ pound Pre-packaged Box of Classic Assortment Milk and Dark Chocolates. Shop this deal now at Hoffmans.com! As part of its ongoing support of the community, Hoffman’s Chocolates is pleased to announce that it will celebrate the start of the 2017/2018 school year by holding a Backpack Donation Drive to benefit Kids in Distress (KID) of Palm Beach and Broward Counties. 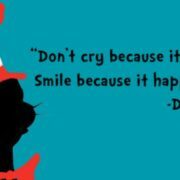 KID is a nationally accredited agency working for the prevention of child abuse, preservation of the family, and the treatment of abused and neglected children. Anyone who donates a new school backpack at a participating Hoffman’s Chocolates location on Saturday, August 12 or Sunday, August 13 will receive their choice of a FREE ¼ lb. Pre-packaged Classic Assortment Box of Milk or Dark Chocolates or a Hot Fudge Sundae made with two scoops of ice cream, topped with hot fudge, one additional topping, and whipped cream (limited to one complimentary Hoffman’s treat per one donated backpack and valid for redemption on the day of donation only). All backpacks need to be brought to the store registers for redemption. Participating locations include the chocolatier’s stores in Greenacres, Lake Worth, Palm Beach Gardens, Delray Beach, Fort Lauderdale, Hollywood, Plantation and Weston. 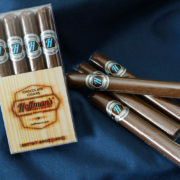 Please visit hoffmans.com for store locations and hours of operation. 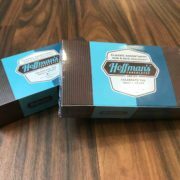 http://www.hoffmanschocolateblog.com/wp-content/uploads/2017/08/backpack1.jpg 2000 2000 admin http://www.hoffmanschocolateblog.com/wp-content/uploads/2016/03/blog-logo-300x138.png admin2017-08-09 15:39:432017-08-09 15:39:43Donate a backpack and get a sweet treat! Hoffman’s Chocolates is not only offering the special BOGO offer on National Ice Cream Day, but is also celebrating National Ice Cream Month with the continuation of its Two Buck Tuesday Ice Cream. Every Tuesday customers can enjoy one scoop of ice cream for $2.00. As a bonus, from Tuesday, July 11 to Sunday, July 16, guests can share a photo of themselves enjoying gourmet ice cream at a Hoffman’s Chocolates store on social media with the hashtag #CelebrateWithHoffmans for a chance to win free ice cream for a year. Posts must be shared publicly on Twitter, Instagram, or posted on Hoffman’s Chocolates main Facebook page (@HoffmansChoc). The winner will be announced on Monday, July 17th. Click here for more information. 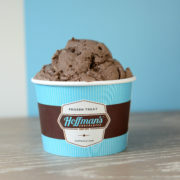 Hoffman’s Chocolates offers a wide array of ice cream flavors that will satisfy any craving. The variety of flavors differs at each store, but all locations have the classics such as Chocolate, Vanilla, Strawberry and Mint Chip. Other flavors that can be found at select stores include Hoff Tracks and Stellar Coffee. Hoffman’s Chocolates currently has stores in Greenacres, Boca Raton, Palm Beach Gardens, Delray Beach, Downtown Fort Lauderdale, Plantation, Weston, Hollywood and the Fort Lauderdale/Hollywood International Airport. 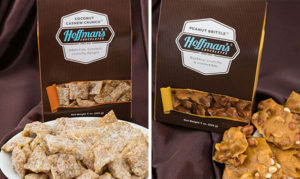 For more information or to find a Hoffman’s Chocolates location near you, please visit www.Hoffmans.com or follow on social media at https://www.facebook.com/hoffmanschoc, https://www.instagram.com/hoffmanschocolate, or www.twitter.com/hoffmanschoc. http://www.hoffmanschocolateblog.com/wp-content/uploads/2017/07/ice-cream-contest.jpg 630 1200 admin http://www.hoffmanschocolateblog.com/wp-content/uploads/2016/03/blog-logo-300x138.png admin2017-07-11 13:27:502017-07-11 13:33:29Celebrate National Ice Cream Day and you could win FREE ice cream for a year!